Hanging plants are gorgeous! They really dress up a porch or room. However, watering them and caring for them can often be burdensome. It's hard to reach hanging plants. Lugging a ladder out of the garage is a hassle! Or, standing on a chair to water your hanging plants can be a safety hazard. That's why we created the Plant Hook Pulley! 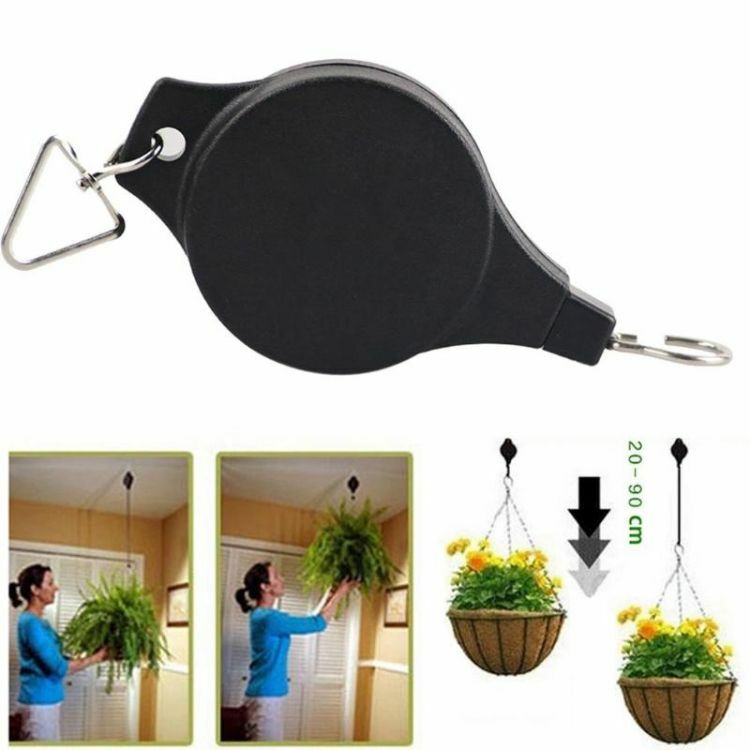 This awesome little device will help you safely and conveniently access your hanging plants. Made from Durable Materials: This awesome hook is made from durable nylon that is able to hold up to 15kg. No need to worry about it breaking! Retractable Design: The durable hanging strap is able to retract for safe, effective, and quick lowering of the plant. It also raises the plant back into position. Easy to Use: Pull the rope down vertically to desired height. Do not immediately let go of the plant but lock it into position. That's it! Multi-Purpose: The Plant Pulley isn't only for plants! Use it for decor, birdcages, pots, and much more!